Today's guest post comes from Lola at Burb Beauty. 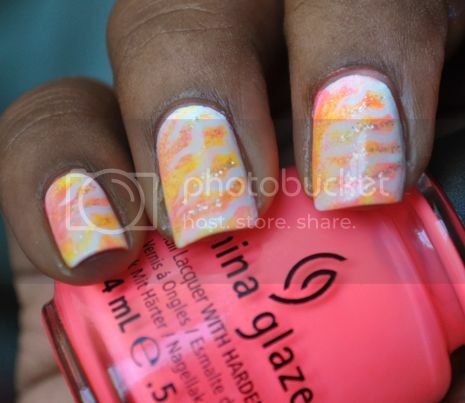 She is one of the first bloggers I started following and I absolutely love her swatches and nail art. 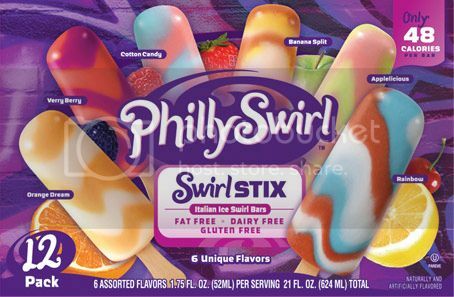 Have you ever tried a Swirl Stix popsicle? I tried one for the first time yesterday, and I can wholeheartedly say that they are gross. However, the color combinations are so fun! My melted, discarded popsicle inspired this bright, shimmery mani. I'm not sure how close I got to the melted popsicle look, but it is what I envisioned. I started with two coats of NARS Ecume, a white creme, to make my neons pop. 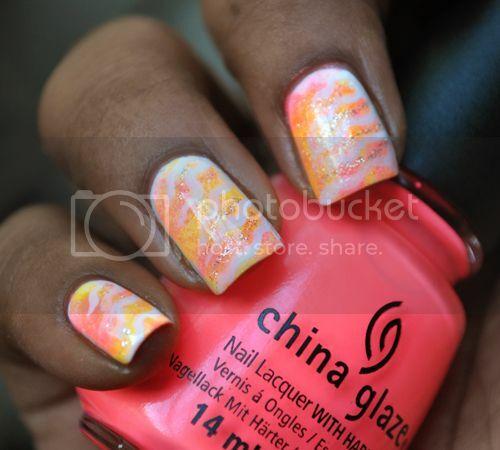 After that dried, I sponged China Glaze Flip Flop Fantasy and Sun Worshiper on top. I added one coat of Deborah Lippmann Bring on the Bling and then striped with white acrylic paint. I love acrylic paints for nail art because mistakes can easily be erased with some water, and it doesn't dry quickly or get stringy like nail polish. 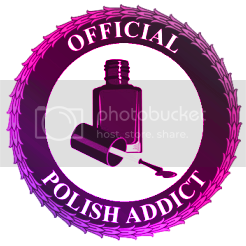 Plus, I don't get stuck having to use those long, skinny brushes that always come with nail art polishes. The benefits of acrylic paint are endless. No nail art of mine is complete without my silver glitter striper, so I (probably unnecessarily) accented with that. Thanks, Lakeisha, for inviting me to do a guest post for your lovely blog! Your invitation motivated me to take a break from frenetically swatching my stash and actually enjoy the art of nail polish again. Best of luck! Lola, this is awesome!!! Now I want to go and get some ice cream (just not the one above since you said it was gross). Make sure you check out Burb Beauty...she's doing a great series called Purge Wars that I absolutely love! Yes! 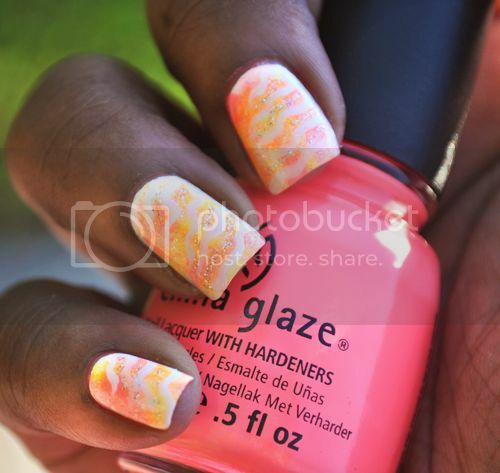 The colors are perfect for the summertime!